It's that time of year again! You finally have an excuse to wear that one American flag patterned article of clothing you've been pulling out for the last five years on the 4th of July. 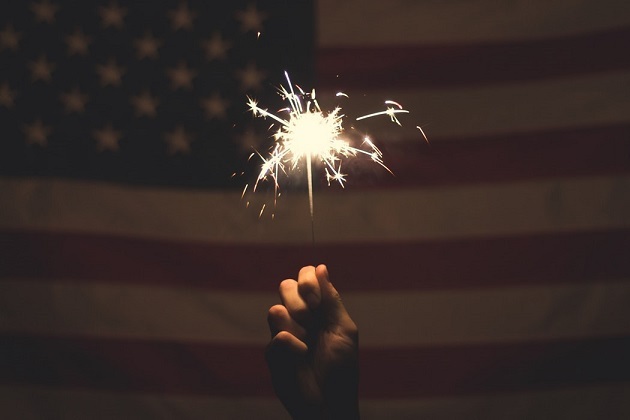 Lucky for you, Independence Day can be celebrated all week long, and this year's Fourth of July events in Savannah will not disappoint. On July 4th, celebrate Independence Day with live entertainment, games, contests, and food at one of the most popular destinations in Savannah – River Street. The fireworks show begins at 9 pm and promises to be one of the best in the city! Don’t miss out on Savannah’s main 4th of July celebration. Fort King George is the oldest English fort remaining on Georgia's coast, dating all the way back to 1721. To honor Independence Day, join the soldiers at the Fort King George Historic Site for a day of artillery drills, musket firings, and other exciting activities. While you’re there, enjoy some of the other activities available at the site like kayaking, nature trails, and touring the fully reconstructed fort. The Old Town Trolley of Savannah will be open on the 4th of July and operating during their regular tour schedule times. Enjoy Independence Day decorations in Savannah by taking advantage of the top-rated sightseeing tour. The Hop On Hop Off Savannah can take you to almost every 4th of July celebration around the city! Plus, locals who bring out of town guests and get their ticket for free. On July 1st, celebrate young patriotism with a free treat at Leopold's Ice Cream! Any child 12 or under gets a free ice cream cone if they can recite the Pledge of Allegiance from memory. This is part of the “I Pledge” campaign, which started at Leopold’s in 2010 to emphasize the importance of patriotism among school children. Savannah Riverboat Cruises is offering a one-of-a-kind, three-hour Independence Day celebration! Included with a ticket purchase comes a 4th of July inspired dinner buffet, live entertainment, drink specials, and a fireworks show. Celebrate America’s independence early this year by hitting Savannah’s most popular bars! This year’s Independence Day bar crawl is on Saturday, June 30th and includes: Pour Larry's, The Rail Pub, Booms, Barrelhouse South, PS Tavern, Bay Street Blues Bar, Molly McPherson's Scottish Pub, Stafford's Public House, 309 West on the River… and an after party at Savannah Smiles! This is one boozy event you won’t want to miss. Grab the kids, pack some food and drinks, and spend the day at Fort McAllister State Historic Park this 4thof July. This authentic Civil War site is located on the Great Ogeechee River and boasts a museum, along with the fort itself, cannons, bombproof barracks, and other amazing Civil War relics. In honor of Independence Day, there will be cannon and musket firing demonstrations and a variety of children’s games (including watermelon cutting and seed spitting contests). There’s no better way to celebrate Independence Day than on the beach. This 4th of July, camp out at Tybee Island and enjoy island-wide food and drink specials after the annual firework show, anticipated to start around 9:15. No matter where you end up on the Fourth, celebrate our country and independence with pride. After all, you have the freedom to choose from all these cool things to do in Savannah. To stay in the know about more July 4th events in Savannah, subscribe to 912area!